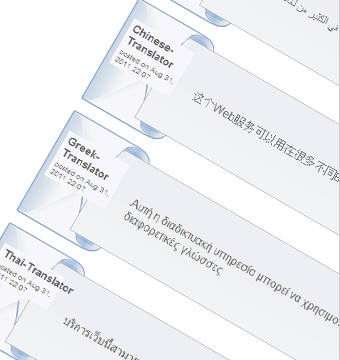 Website is available is multiple languages (currently English & German, others planned). Unicode is used for character encoding. Conversion of time into UTC format for database storage; the time is converted to the user’s local time zone for display.